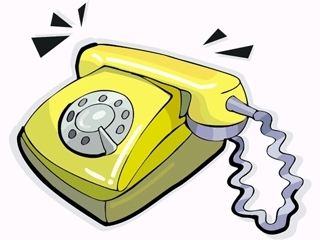 Most teachers communicate with parents when there is a problem, but I think it is extremely important to start the year off with a positive phone call. Even if you meet the parents at your school's open house, I think an individualized call makes a world of difference. Parents are more open to working with me when problems arise if they know that I notice and appreciate their childs' strengths. Making a positive phone call to share one or two things I have observed a child doing well lets the parents know that I am noticing their child's strengths. During the year I also try to call parents occassionally to let them know if I have seen growth or improvement. Not only do parents enjoy hearing about these things, but it also means that parents don't assume I am calling about a problem every time they see the school's number on their caller ID. Of course, in whatever form parent communication occurs it is important to document. Planning how you will document it ahead of time makes it a lot easier to keep up with. I keep a folder with my students' phone numbers and multiple copies of a communication log in it. 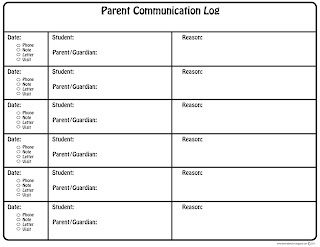 The Lesson Plan Diva has a great parent communication log that she is sharing for free. Just click here and be sure to check out this awesome blog while you are there. I really like this form and I didn't have it yet! Thanks for linking...I left her some feedback too! I love that you call when you have something positive to say. My daughter's drama teacher does that...every Friday she makes 5 positive phone calls. It is so nice to get those calls. I love that you make parent communication a priority! Your blog looks great! Oh April! Love the new-new look! Fresh and clean and easy to read! When I clicked on it, I literally said, "wow!" I do have a question for you...can you email me at ShopSunnyDays@me.com when you get a minute?